On December 6, 2017 the MPs voted in first reading amendments to the Penal Code related to the manifestations of ?radical Islam? and covering the face as a kind of religious clothing. 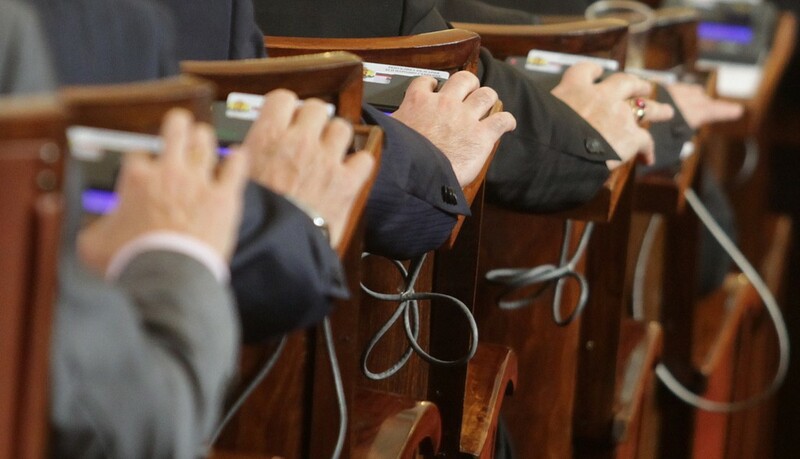 The amendments in the Penal Code were submitted by MPs from the parliamentary group of the United Patriots. According to them there is foreseen an imprisonment from 1 to 5 years and a fine to 5000 leva for professing radical Islam. The amendments also foresee imprisonment from 1 to 4 years for everyone who forciblycauses other person to wear religious clothing and to cover his face. According to the submitters of the amendments so far in the Penal Code of Bulgaria is criminalized the professing of undemocratic ideology, and the only mentioned as such is fascism. However some of the MPs wanted some of the texts to be refined and the terms and concepts to be clarified because the opposite would lead to unpredictable consequences. The adopted yesterday amendments in the Penal code rise many questions. Could there be and is it correct to exist a concept of ?radical Islam? at all, despite of the fact that it has already been widely used? Can Islam, the religion of peace, be defined as ?radical? and with this definition to be placed next to the antidemocratic ideologies such as fascism? And actually the new amendments raise many questions with unknown answers. What is sure is that the randomly handling with unclarified language terms and concepts can lead to serious and undesirable consequences.